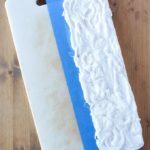 This post uses affiliate links.They don’t cost you a thing and help us bring you all natural cleaning tutorials. Read more in Policies and Disclosures. Have you ever had a clogged drain? The most embarrassing clog of my life occurred the year we hosted Thanksgiving dinner for my entire family. Somewhere between the liquid turkey fat and potato peels my kitchen drain gave up and began regurgitating murky brown water mixed with bits of food from the disposal. Watching me frantically plunge the kitchen sink was NOT the most appetizing pre-dinner activity. What's even worse than an embarrassing clog? Being forced to use dangerous chemicals to unstop backed up sinks and clean slow flowing drains. Flush the toxic chemicals and learn the easy way to naturally clean a clogged drain and speed up slow flowing pipes. What Causes Disgusting Drain Clogs? Have you ever tried to stop a leaking air mattress from deflating? It's impossible to stop the air loss until you find the hole. The same principle applies when cleaning a clogged drain… you cannot clean and declog if you don't know the cause of the problem. Most household drain clogs are caused by four substances. 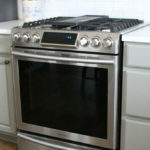 Fat, Oil and Grease (or FOG): Fatty substances are the number one cause of kitchen sink clogs and slow draining sinks. – they go down the drain easily in a liquid state (think hot grease in a pan or dissolved fat in warm dishwater) BUT as they move through your pipes the fat cools. 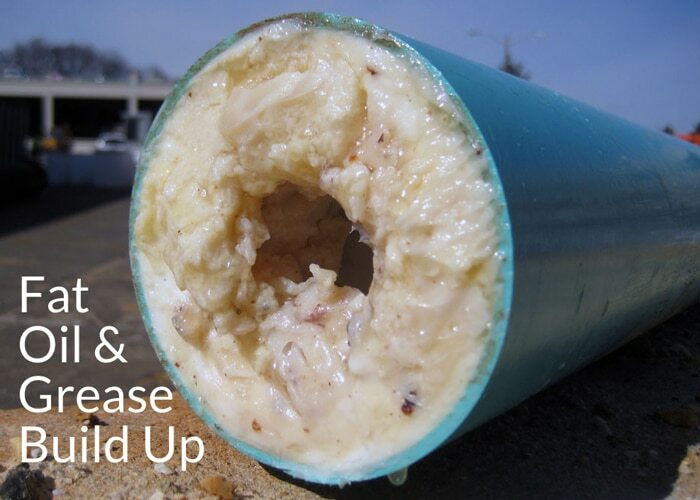 This solid fat coats the pipes' insides getting thicker and thicker until you have a slow drain or complete blockage. Food Particles: Large food particles or vegetable peels that become trapped in the curved pipe beneath the sink (also known as the p-trap) are another common cause of kitchen drain clogs. Hair: Hair is the most common cause of bathroom drain clog. The hair easily goes down the drain with water then accumulates inside the pipe building up until the line is blocked. These clogs usually occur right below the drain. Soap Scum: Greasy soap residue and particles can also coat the interior of pipes and cause a blockage. In some cases the soap buildup can become so bad it can actually corrode the pipes. 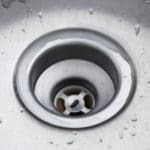 After you make an educated guess about the cause of the clog, four tools and tricks will help you naturally unclog your drain and remove debris without calling a plumber. Works On: Food particles or objects stuck in the p-trap (the curved pipe) beneath your sink. Try this on completely clogged or slow-draining drains. How to Use: Clear the surrounding area in case of water splashes. 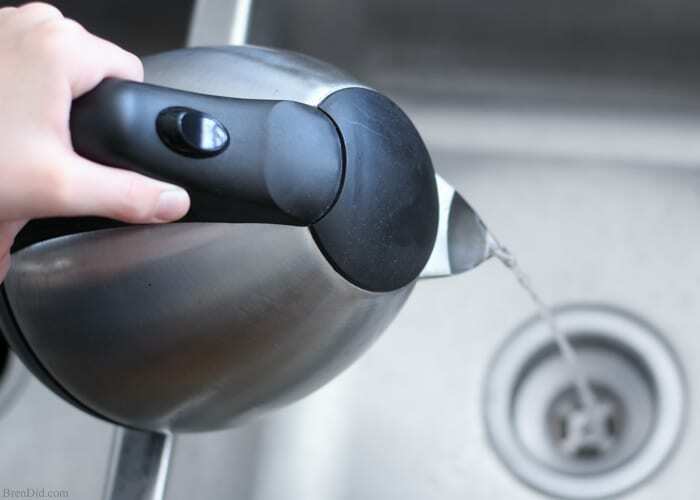 Fill the sink halfway with warm water then give your sink a good plunging using a rubber plunger. Rinse drain with hot water. Why This Works: The plunger dislodges stuck food particles and allows them to pass down through the drain pipe. The water rinse washes them down the drain. Works On: Hair or small objects stuck in bathroom drains. Try this on completely clogged or slow-draining bathroom drains. How to Use: Bend the end of a long piece of wire into a small hook using pliers (a coat hanger works great) or get a drain cleaning tool. Carefully remove the drain cover, remove any visible debris, then insert the hook. (You’ll want to wear gloves, it is gross.) Pull the hook back up and remove any debris (this will be a bunch of decomposing hair and gunk). Use the hook a few times in the drain to make sure you entirely clear the debris. Dispose of the debris in the garbage. 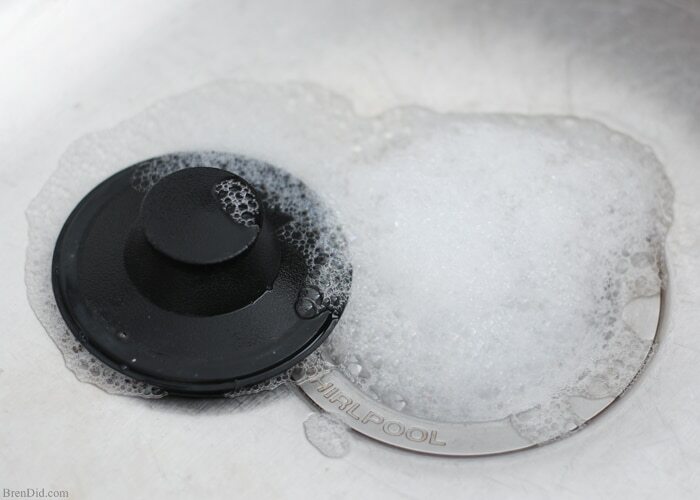 Why This Works: The hook removes the hair and debris that was blocking the drain, leaving it clean and free-flowing. Works On: Grease clogs or fat narrowed pipes. Try this on slow-draining kitchen drains. How to Use: Heat 2 liters (a large pot of water) to a boil then stir in a few tablespoons of natural hand washing dish detergent or Sal's Suds. Slowly pour the nearly boiling water down the slow running drain and then flush with hot tap water. 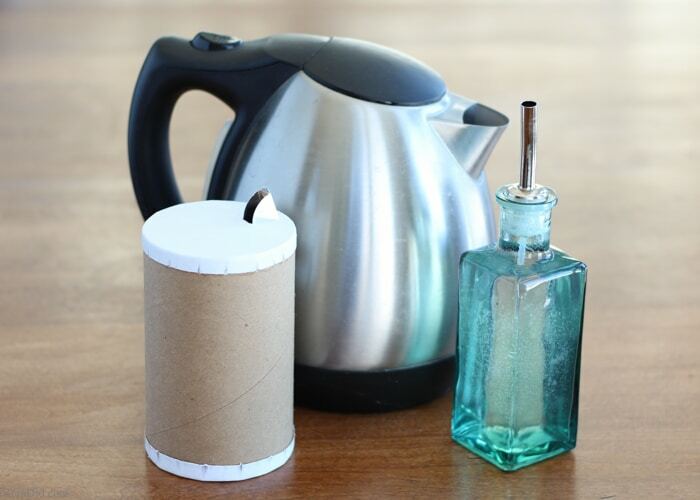 This can take several pans of detergent and hot water. Why This Works: The hot water melts some of the grease narrowing the pipes, and the dish detergent helps to dissolve the fat. This combination of cleaners removes the gunky buildup and allows drain pipes to run more freely. Works On: Grease or soap clogs and fat or soap narrowed pipes. Try this on slow-draining kitchen and bathroom drains. 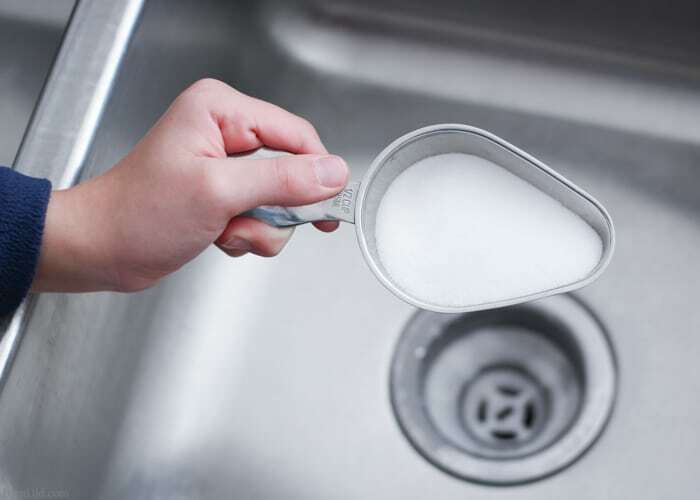 How to Use: Pour one-half cup of salt down the slow-moving drain. Heat 2 liters of water until it is nearly boiling then slowly pour down the drain and flush with hot tap water. It may take several rounds of salt and hot water. You can use any type of salt (table salt, sea salt, or kosher salt). Why This Works: The hot water melts some of the grease that is narrowing the pipes. The salt has an abrasive texture that acts as a natural scouring agent, forcing more greasy build up out. This combination of cleaners removes the gunky buildup and allows drain pipes to run more freely. Works On: Organic based clogs like grease, hair, and soap. Try this on slow-draining kitchen and bathroom drains and homes with septic systems. Enzyme cleaners can also be used regularly to keep drains free of organic material and odors. How to Use: Follow package directions. Best used overnight when drains are not being used. 1 – Never put FOG (Fats, Oil or Grease) down a drain or garbage disposal. Any substance high in fat (think bacon grease, coconut oil, butter, peanut butter, and other high fat food) should be cooled and then disposed of in the trash or wiped into the trash before washing. 2 – Don’t use hot tap water to melt fats so they can be rinsed down the drain. They will cool and clog your pipes! 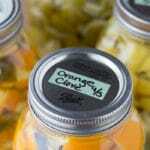 3 – Dispose of food waste and vegetable peels in the trash! Do not put onion peels, potato peels, banana peels, egg shells, rice, pasta, celery, and so on down the garbage disposal or sink drain. 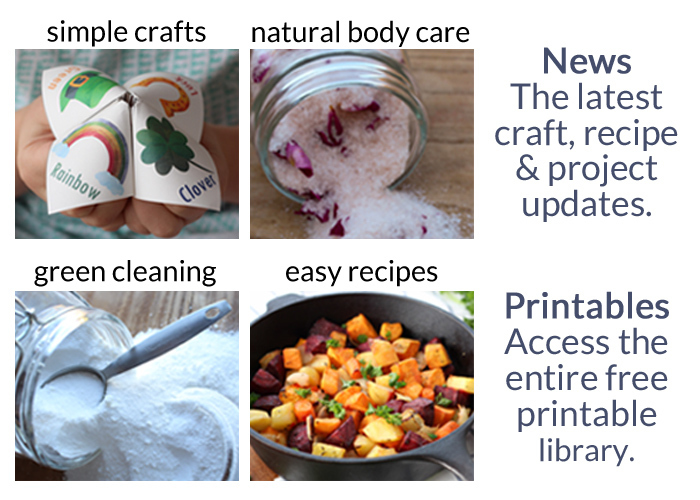 Check your manufacturer’s guide for details. 4 – Install a hair filter in bathroom drains. Never flush hair down the drain when cleaning, wipe loose strands up and throw them away in the trash. 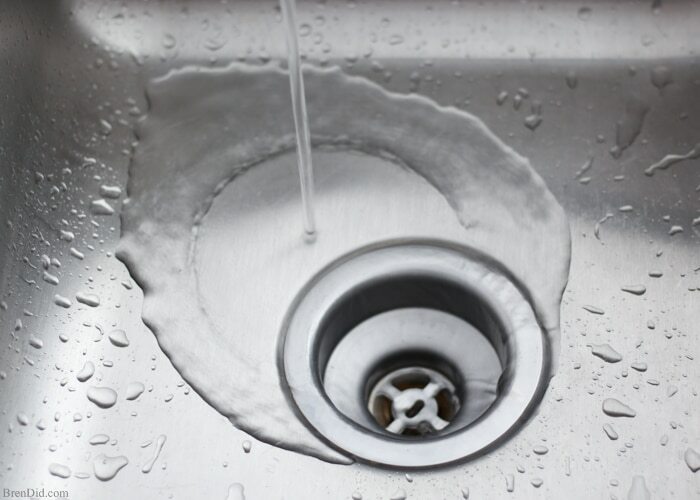 5 – Flush kitchen drains once a month with salt and hot water. This combination prevents greasy build-up and keeps drains running at full capacity. 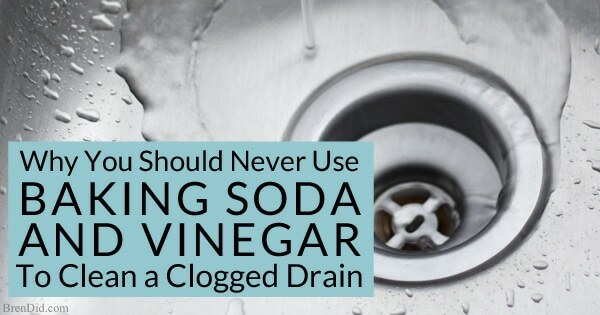 See my baking soda and vinegar experiment and learn why you should never use it to clean drains! 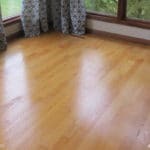 Learn more about green cleaning combination that are dangerous or do not work. I hope these tips keep you from getting an embarrassing drain clog and help you flush the toxic chemicals! 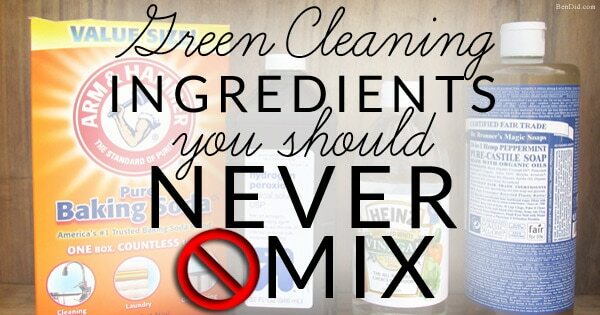 Sign up for my free newsletter below for more green cleaning tip and tricks. I have a partially clogged laundry machine drain. Would salt alone do the job? I’m not sure, Virgil. It depends what is clogging the drain. If you have hard water, white vinegar would help with mineral deposits. Thanks so much dish detergent & boiling water opened my slow moving BR drain almost instantly! I’m so glad it helped, Fran! Lots of boiling water followed with 1/2 cup of table salt and more boiling water clears a clogged up kitchen sink and disposal. Thanks for the info!! Many thanks for the valuable information. I tried salt, hot water with soap and it easily cleared the slow draining bathroom sinks. So glad I don’t have to use harsh chemicals anymore! I’m glad it worked for you, John! Thanks for sharing, Lyn. 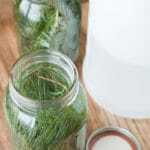 Vinegar or hot vinegar would help the most with the hardened soap since vinegar breaks down soap (vinegar has a pH of 3, soap has a pH of 7 or 8) due to the acid/base reaction. The baking soda would lessen the power of the vinegar (vinegar has a pH of 3, baking soda has a pH of 8-9) to attack the soap scum due to the same acid/base reaction so I’m not sure why a plumber would recommend it for soap clogs. I’d prefer the vinegar to be full strength when reaching the soap clog. I’m so glad it worked for you, Sharon! just tried your method, my kitchen drain has has never run so go. I moved in 3 years ago, before that my parents had lived here for 25 years ( they had problems with the drain ), prior to that my dads aunt and uncle had lived here since they built the house in 41. The kitchen drain goes into the basement in a 2″ steel pipe that runs about 35 feet till it hits the 6″ pipe that runs out to the septic system. The steel pipe is original. I’m glad it worked well, Gary!